On Wednesday, a federal judge in Washington, D.C., blocked work requirements imposed on Medicaid recipients in Kentucky and Arkansas. 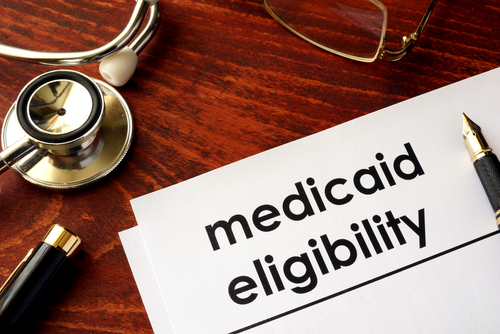 U.S. District Judge James Boasberg said in the Arkansas decision that federal approval of the program was arbitrary and capricious because it didn’t address whether it would affect medical coverage to the needy—a core objective of Medicaid. Boasberg reached the same conclusion when he first ruled on Kentucky’s program last summer. In the new Kentucky ruling, Boasberg rejected the latest argument by the secretary of the Department of Health and Human Services—that the nearly 100,000 people who would lose coverage as a result of work requirements would be dwarfed by the 450,000 who would lose coverage if Kentucky decides that it won’t participate in the Medicaid expansion that was part of the Affordable Care Act. Boasberg said Kentucky and the federal government essentially are arguing that Medicaid coverage is promoted by an experimental program that leaves any additional individual on the Medicaid rolls. “The court cannot concur that the Medicaid Act leaves the secretary so unconstrained, nor that the states are so armed to refashion the program Congress designed in any way they choose,” Boasberg wrote. Boasberg sent both states’ requests back to the HHS for additional review. The New York Times, the Washington Post and the Associated Press have coverage. Arkansas and Kentucky are among eight states that received approval to require many Medicaid recipients to work, take job training or participate in other “qualifying activities.” Seven other states also are asking for such permission. The requirements generally apply to people who qualified for Medicaid under the expanded program that was part of the Affordable Care Act, enacted during the Obama administration. Thirty-seven states are participating in the Medicaid expansion. Arkansas requires at least 80 hours of monthly work or other qualifying activities for most able-bodied adults ages 19 to 49. Since the program was enacted in rollouts in June 2018 and January 2019, more than 16,900 individuals lost Medicaid coverage for some period of time for failure to report compliance online each month, Boasberg said. The Kentucky work requirements apply to those between ages 19 and 64. They never went into effect because of Boasberg’s ruling last summer. Kentucky and Arkansas exempt people from the work requirements if they are too sick to work, pregnant, full-time students, or caregivers for dependent children or disabled family members. President Donald Trump supports work requirements for a variety of programs, the AP points out. He signed an executive order last year calling for new or strengthened work requirements for programs that include subsidized housing, food stamps and cash welfare benefits.